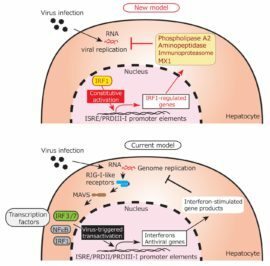 Chapel Hill, NC — Liver cells have an innate resistance to RNA viral infections like hepatitis A, dengue and Zika thanks to a protein called IRF1, according to researchers at the University of North Carolina at Chapel Hill (UNC) and Tokyo Metropolitan Institute of Medical Science (TMIMS). 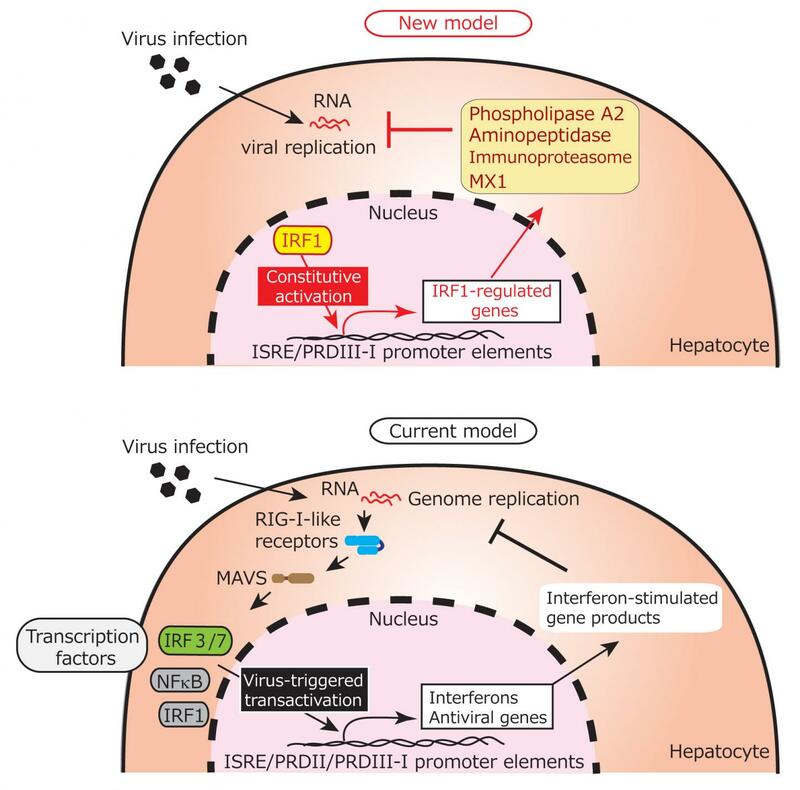 When present in liver cells, this IRF1 protein regulates RARRES3, an enzyme that when expressed in cells where hepatitis A virus is trying to set up shop, will attack the virus. These results were published in Nature Microbiology. This research was funded by the Japan Society for the Promotion of Science (JSPS) through grant numbers JP16H07462, JP17H05070, JP18K05987 and JP15K19109; the Program for Basic and Clinical Research on Hepatitis from the Japanese Agency for Medical Research and Development through grant numbers 16fk0210108h0001 and JP18jk0210014; and the U.S. National Institutes of Health’s National Institute of Allergy and Infectious Diseases (NIAID) through grant numbers AI103083, AI109965 and AI131685.